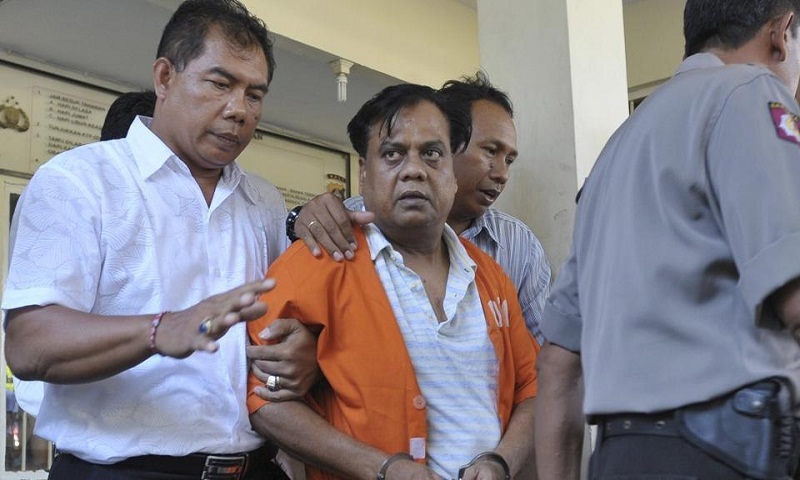 A special Central Bureau of Investigation (CBI) court on Wednesday sentenced underworld don Chhota Rajan and eight others to life imprisonment for killing senior journalist Jyotirmay Dey seven years ago, reports Hindustan Times. The court acquitted journalist Jigna Vora and Paulson Joseph, a member of Rajan’s gang, in the murder case. Other than Rajan, those convicted earlier in the day include Rohit Thangappan alias Satish Kalia, Anil Waghmode, Abhijit Shinde, Nilesh Shedge, Arun Dhake, Mangesh Agawane, Sachin Gaikwad, Deepak Sisodia and Vinod Asrani, who died during the trial. Dey, who was Editor (Investigations) of Midday, was shot dead on June 11, 2011, when he was on his way home in Powai. According to the prosecution, gangster Chhota Rajan’s men, Satish Kalia, Anil Waghmode, Abhijeet Shinde, Nilesh Shendge, Arun Dake, Mangesh Agawane and Sachin Gaikwad, followed Dey from his mother’s house. Kalia shot him with a .32 bore pistol near Powai garden before fleeing with the rest of the gang. The prosecution said Dey was shot on the orders of Rajan, who was allegedly instigated by Vora, who worked with a different newspaper at the time. The mafia don was deported from Indonesia’s Bali in November 2015 and subsequently made an accused in the case. According to CBI, Dey was on the books of the underworld for which he was meeting members of all gangs, including those of Dawood Ibrahim. The agency claimed Rajan was angry about Dey’s connections with the Dawood gang. Rajan suspected Dey of leaking information on him, CBI said. The dispute allegedly started with Dey’s proposed book on the life of 20 gangsters. He had proposed that the book be named ‘Chindi – Rags to Riches’. According to the CBI, between January and March 2011, Rajan tried several times to dissuade Dey from allegedly belittling him through his stories. Rajan particularly tried to dissuade Dey from writing Chindi — Rags to Riches and another one that eulogised gangster Dawood Ibrahim. Rajan feared that the books would show him in a poor light. The investigating had also said that in order to complete the book, Dey had requested Rajan to meet him during his visits to London and Philippines just a month before his murder. Instead, an angry Rajan decided to order the journalist’s murder. The agency claimed that the last trigger for the plot to kill him was two articles by Dey. One was headlined ‘Did Rajan plan hit on Kaskar’, which said, “Sources believe that ageing gangster may have plotted the shoot out as a desperate attempt to seize a lion’s claim in the underworld pie.” The other article was titled ‘Rajan gangsters off to pilgrimages’. The crime branch claimed that such articles had the potential to undermine Rajan’s illegal activities such as extortion and collection of protection money. It claimed that he had issued orders to eliminate the journalist “to send a message to the journalistic community”.